You can keep your Avengers. Shove your Jurassic World. Move along Han Solo. We here at World of Cruising know that the movie event of the summer is on July 20 when Mamma Mia: Here We Go Again, the sequel to the 2008 smash hit, Mamma Mia, lands in cinemas across the UK. There’s plenty of unanswered questions going into the film: did Sophie and Sky find their happily ever after? Just who is Sophie’s father? And has Pierce Brosnan finally learnt how to sing? I think we can safely write the last one off as a lost cause. But it is not just us who are coming over with a case of Mamma Mia fever. Star Clippers, whose historically recreated tall ships are each fully rigged with thousands of feet of sails to provide a unique and incredibly romantic holiday experience, are also getting in on the act. 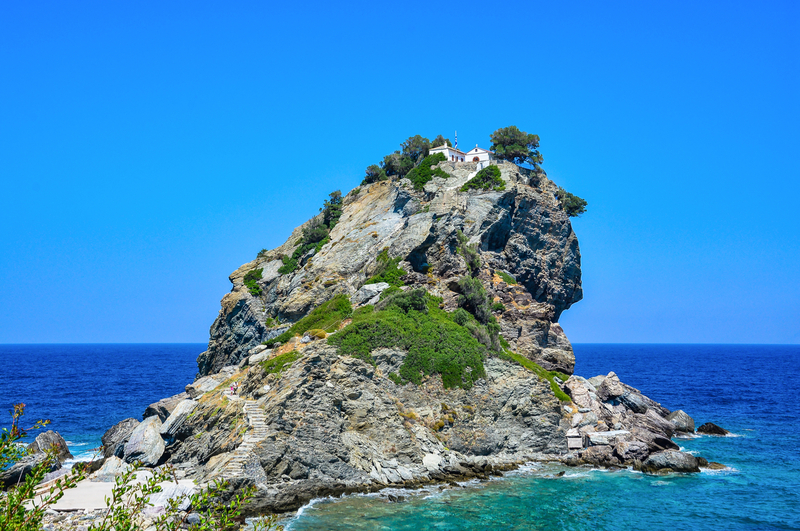 As a tribute to the film’s setting in the Greek Islands, Star Clippers are offering a seven-night ‘Mamma Mia’ sailing on board Star Flyer departing May 17, June 8 and 29 and August 17 in 2019 calling at the islands of Skiathos and Skopelos where the 2008 film was shot. So, if you want to sing a bit of ‘Voulez-Vous’ whilst pretending you’re Meryl Streep or butcher any number of ABBA classics just like Pierce Brosnan (sorry, Pierce), then this your opportunity to. Plus, as an added bonus if you book with Star Clippers between now and June 30, you’ll be entered into a prize draw to win a Mediterranean feast and tickets to an exclusive screening of Mamma Mia: Here We Go Again. Meaning you can get a taste of the Greek islands you’ll soon be sailing around in Star Clippers luxury. Except you won’t because the sequel was filmed in Croatia as a cut-cutting measure. Who says romance is dead?